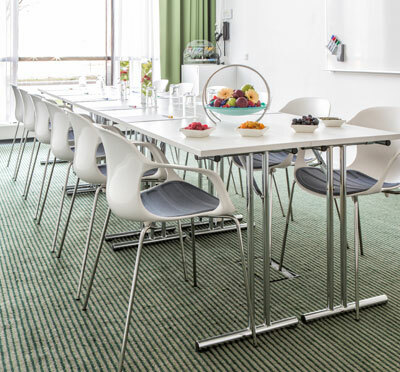 Park Inn by Radisson Malmö offers 231 modern guest rooms, a popular restaurant and a well-equipped gym that all together create the perfect starting point for all guests who want to experience and explore the Öresund region. The hotel´s ambition is to be able to offer a stylish and design-conscious accommodation with a homely feel. Our large, spacious lobby is filled with comfortable furniture for individual calls or for group work to the conference guests. 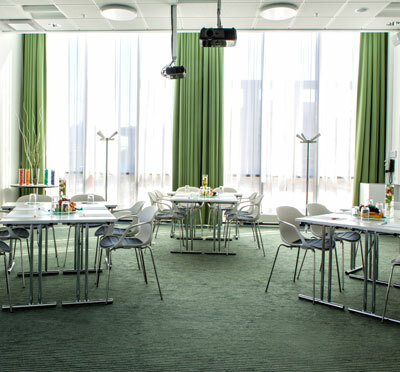 In addition to the hotel´s own seven conference rooms equipped with state-of-the-art technology and large floor-to-ceiling windows, together with Turning Torso Meetings , it can offer amazing conference rooms in one of Northern Europe's tallest buildings , located on floors 53 and 54. In cooperation with partners, Park Inn by Radisson Malmö can offer various activities, such as SegWay, group cooking or wine tasting - to name a few. There is also nice shopping at the Västra Hamnen. In the immediate area there are shops such as Ilse Jacobsen, Bang Olufsen and Viver Home. There is also a good selection of good restaurants, a large gym and nice walking paths. The Ribersborg Beach and the cold bath are also a popular option. Have you been to Park Inn by Radisson Malmö and want to give your own comments?